Specially designed in partnership with the Yorkshire Leadership Community (YLC), this Masters degree is designed to enhance your practice and further your professional development. You will develop your understanding of educational research methods and apply these in researching aspects of your own professional practice, for example, teaching and learning, and leadership. 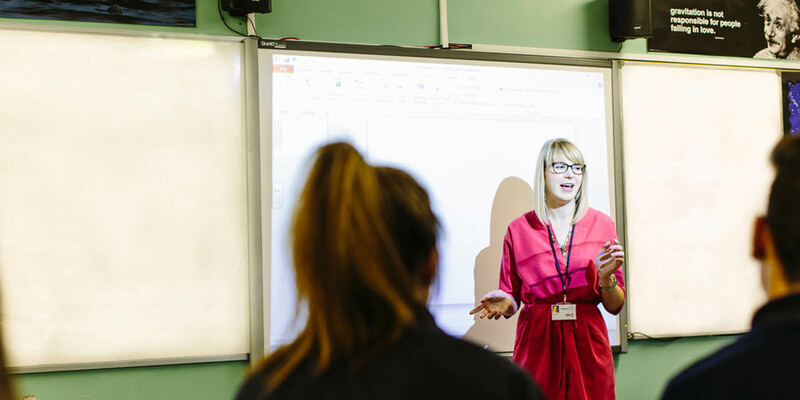 The programme is suitable for both primary and secondary teachers and all career stages whether you are a relatively new teacher or a head teacher. The accreditation of prior learning (see entry requirements for more information) is equivalent to 60 Masters-level credits, which means you will complete 120 credits in compulsory modules over this two-year programme. For more information on typical modules, read Education (YLC) MA Part Time in the course catalogue. In the first year there are four University-based teaching days (10am-4pm); with two on Saturdays and two on school days. The University days will introduce the online resources and provide guidance for working through the modules, as much of the teaching is online via the University’s Virtual Learning Environment (VLE). In semester two of year one, your individual research will be supervised by a tutor. Tutorials can be arranged face-to-face, online, or by telephone. In the second year you will be focused on your dissertation which will be supervised by a tutor. Tutorials can be arranged face-to-face, online, or by telephone. In addition there will be two University-based teaching days (10am-4pm); one on a Saturday and one on a school day. During these days you will share your plans for your research with the class and then, later in the year, share your findings. We have designed the MA Education (YLC) to ensure that the workload in any one year is not excessive and you will be able to focus on issues that have specific interest and relevance to you and your school. All assignments have deadlines at the end of school holidays. Meet the requirements of accredited prior learning (see details below). Portfolio with a short commentary (c1,000 words) to identify evidence in relation to the two MA in Education learning outcomes. Portfolio with a Critical Reflection (3,000-4,000 words) - a discursive and critical reflection on the evidence included in the portfolio in relation to the two MA in Education learning outcomes. For more detail on what is required for the above please contact Graham Chambers, who can offer specialist guidance and support with this process. We recommend you do this as soon as possible as your application for APL has to be formally agreed and ratified by the University before you can start the course. Finally, it is important that you select MA Education (YLC) specifically. Letter of confirmation of employment (this can be presented at registration if not available). If you're unsure about the application process, please contact the admissions team for help. 15% if 25 students or more are fully registered by 30 September. Registration numbers will be verified by the University and the relevant reimbursements will be made back to the student, or school, depending on who paid the course fee initially. You may be eligible for a bursary from the YLC, please contact YLC for more information. Your school may contribute to the course fee, especially your research projects will be focused on a school improvement priority area. Please discuss your desire to study as early as possible with your manager and explore funding possibilities. There may be funding available from the Department for Education, for example; the Opportunity Area Fund, MAT Development and Improvement Fund, Strategic School Improvement Fund, or the Equality and Diversity Fund for women or BME leaders. This course is designed to enhance your professional development as an experienced teacher. This development takes place in the context and atmosphere of the latest research in education and your own particular specialism. The course aims to develop the necessary educational understanding, analytical skills and leadership qualities for success in education through the raising of pupils' achievement and school improvement.